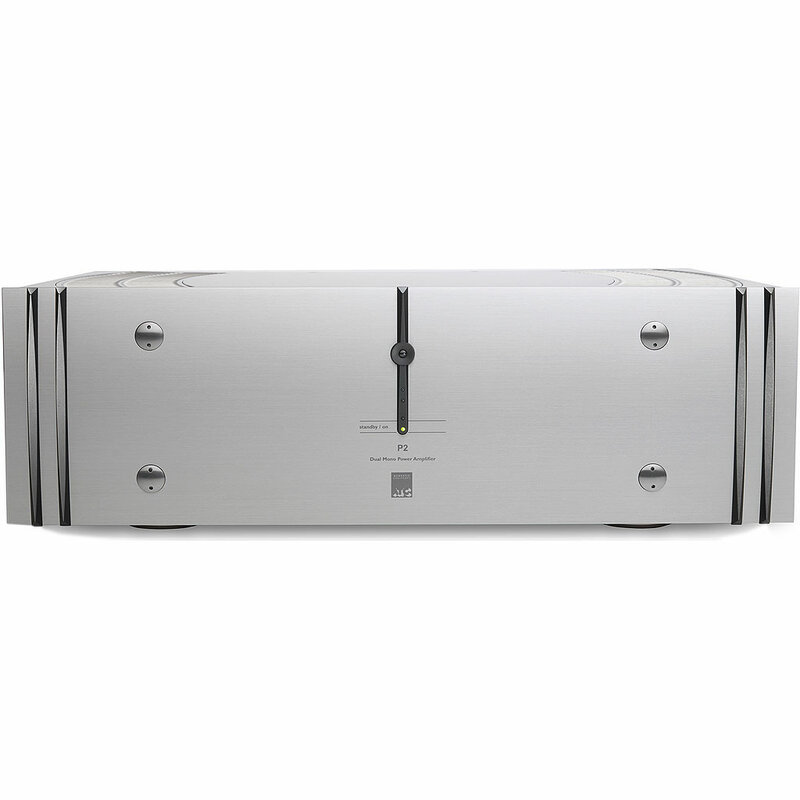 The ATC P2 power amplifier generates twice the power of its smaller P1 sibling. The P2 will drive the most challenging loudspeakers with ATC’s signature virtues of wide bandwidth and ultra-low distortion. 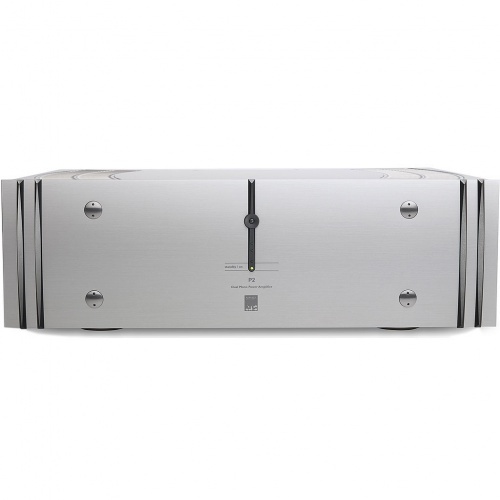 Hand-built by ATC in the UK, the P2 class A/B stereo power amplifier is designed to complement the brand’s range of hi-fi pre-amplifiers, both aesthetically and operationally. Rated at 300W continuous power per channel and developed in tandem with the P2 Pro studio amplifier, the ATC P2 is a Dual Mono design with decreet power supplies, signal and return paths. This approach ensures that the amplifier will achieve the maximum signal separation with minimal crosstalk, and that intermodulation between channels via the power supplies is reduced to an absolute minimum across a frequency range of 400kHz. It also means that the power delivery from one channel cannot affect the specified power available from the other. 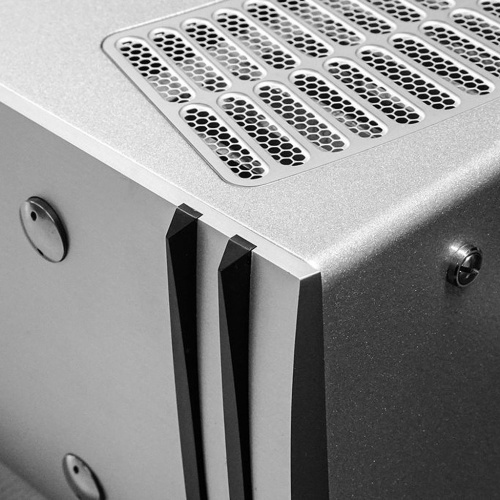 Within a new low-vibration chassis design featuring a precision machined 12.7mm brushed aluminium front panel, the P2’s layout includes a massive, custom-made 400 VA low-noise transformer for each channel and an output stage involving 3 pairs of MOSFET devices per channel to achieve peak current output of over 15 amps. ATC’s unique “grounded source” output stage ensures smooth power delivery and extremely low harmonic distortion. 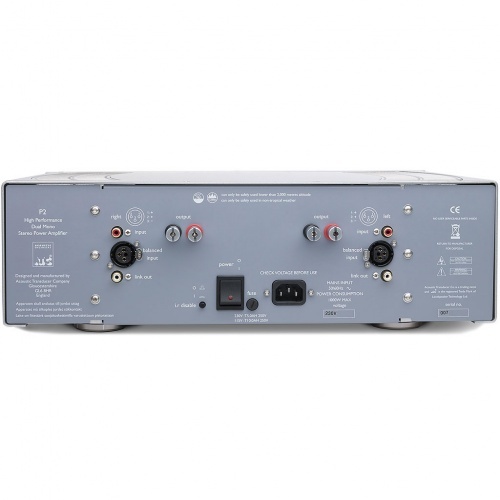 The gain of the P2 matches that of the lower power P1 (150W/ch) so that they can be used together in bi-amp or tri-amp systems, connected via the amplifier ‘Link’ phono inputs/outputs. 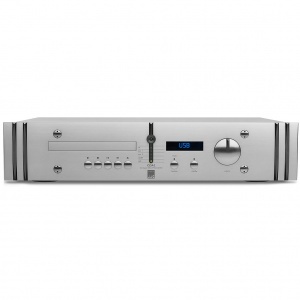 The ATC P2 offers balanced XLR and unbalanced phono inputs, ‘link’ phono outputs, proprietary 4mm speaker terminals, and IR remote control. Very happy with the sound quality and the power. No jargon, just excellent. Great service from Igloo. Appreciated the two weeks trial period as took that long to get to play it properly. This is a palpable upgrade from my P1, with tighter base and clearer definition in the midrange. Looks good too.